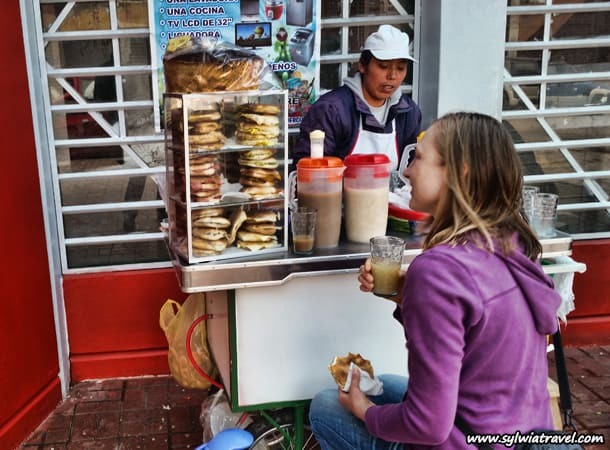 Peru is famous for its street food and beverages. So much so, that while passing through Peruvian streets, you can never go hungry. On most sidewalks, you can find something to eat and drink. 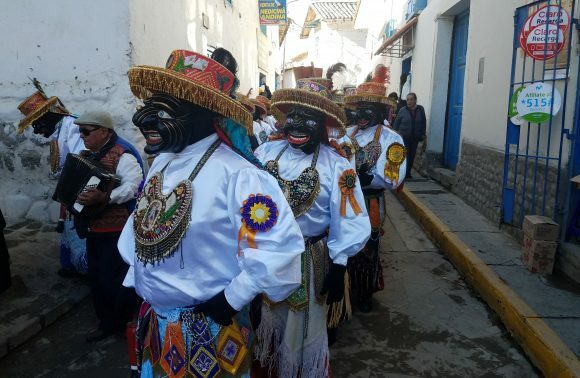 Among the variety of delicacies, you can buy on Peruvian streets, some are healthy while some are not. For me, the best snacks are those prepared without meat and without being deep-fried in oil, both of which are quite common. Something interesting you will notice if you start buying the food from the same seller is that they will start calling you “casera” if you are female or “casero” if you are male. What is ironic is that the seller from whom you regularly buy from will also be your casera or casero too! So do not be surprised if they ask you “my casero/casera what you would like to eat/drink today?”. Below you will find my Top 5 list of list of some food and drinks in the streets in Peru for pennies which I can really highly recommend :-). 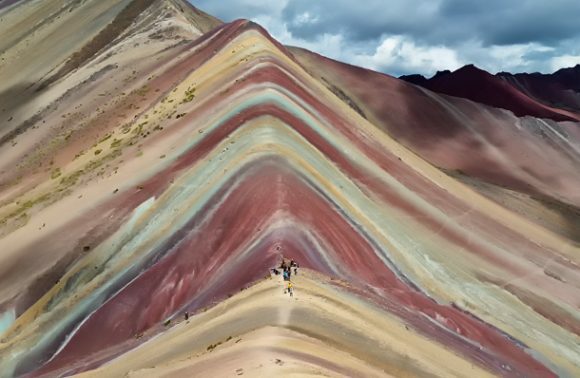 It is my personal list of the Top 5 best things to eat in Peru. Do check it out and try these delicacies when you go to Peru, and let me know what you think. 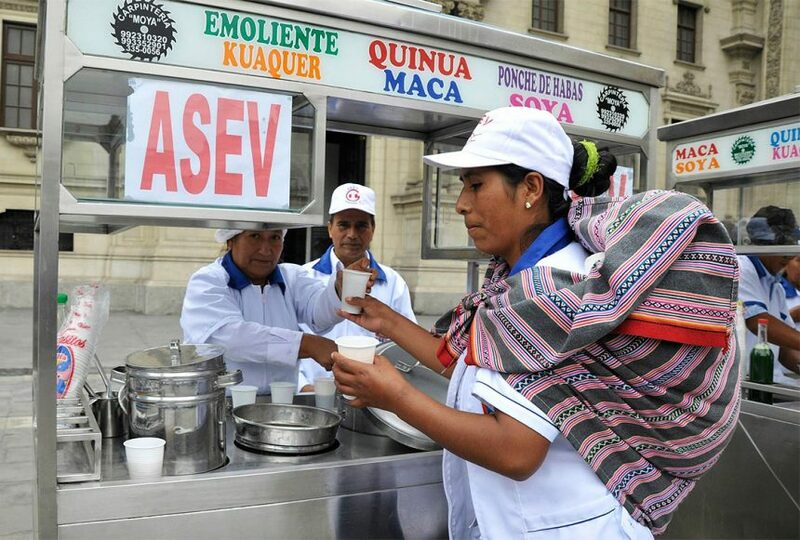 If you are in Peru, need warm breakfast and have no idea what to prepare; look for a small cart on the street with a lady selling quinoa, kiwicha and maca. For a glass of these goodies, you will only have to pay 1 Sol. Do not forge tot ask for “yapa” – you will get another half a glass for free! Quinoa, kiwicha and maca come in two forms: either as a hot or a warm beverage. One thing is for sure – 2 glasses of the beverage will definitely fill you up! 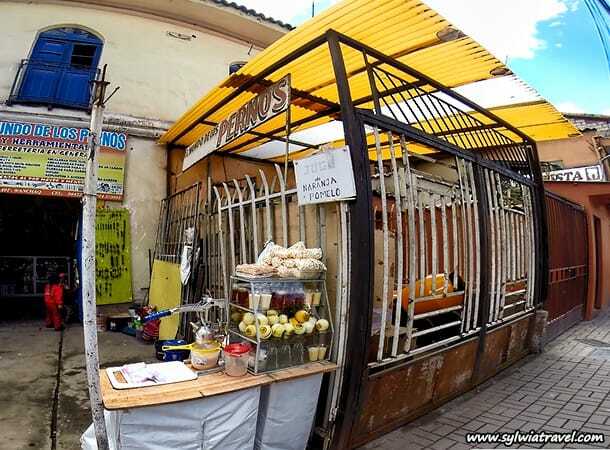 Usually, the same street carts also sell sandwiches with cheese, avocado or meat; for which you also pay just one Sol. 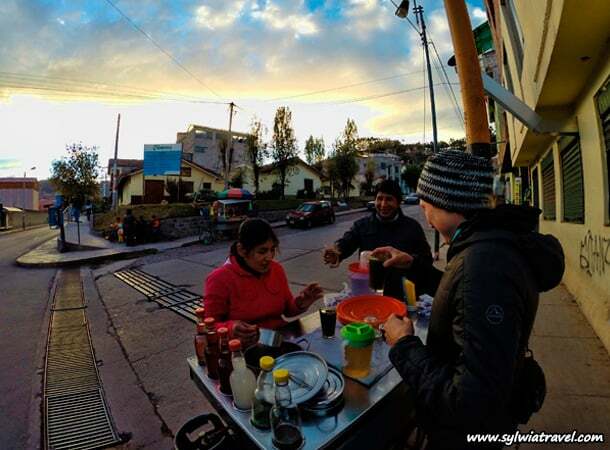 Where else can you find a cheaper breakfast than on the streets of Peru?! 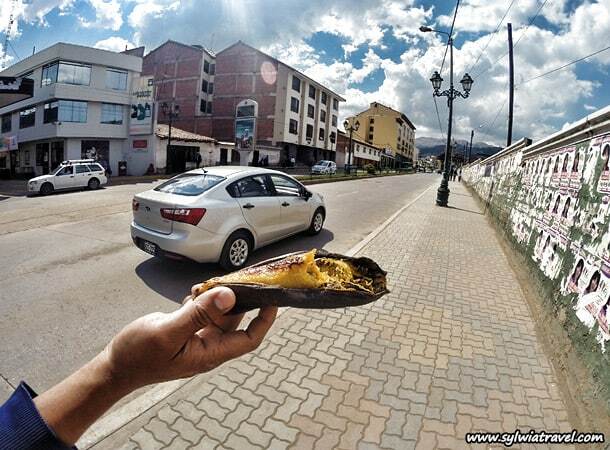 If you are ever walking through the streets of Peru and crave a sweet, healthy dessert – platano al horno will come to your rescue (also called platano maduro). It is baked sweet banana – which literally melts in your mouth. 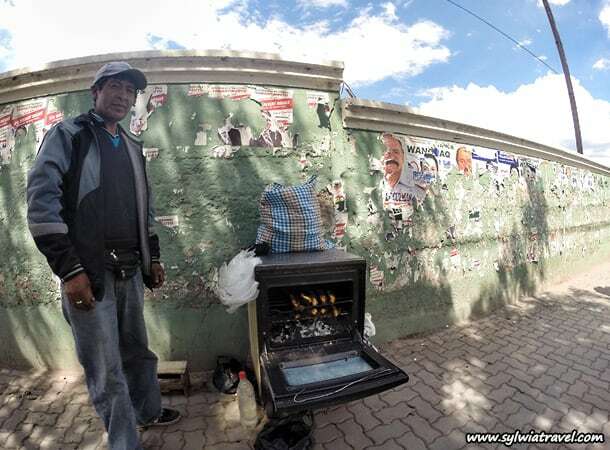 You will often find vendors on the street preparing the bananas in a stove. It makes for a perfect daytime snack. If you are thirsty, do not miss the chance to taste a freshly made orange juice. 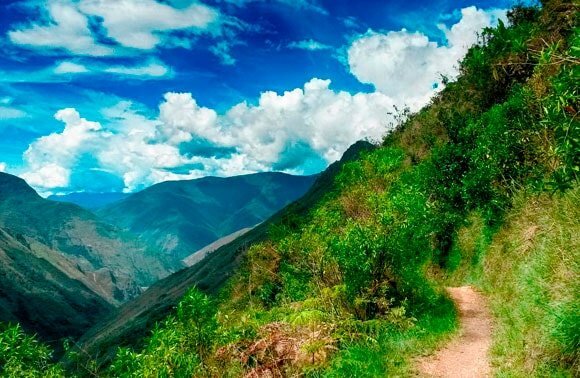 Peru is renowned for its juices, so you will find many people selling fresh juices on street corners and local markets. To add to the experience, they literally peel the fruit in front of you and squeeze them in a special machine. You will not find fresher juice than this one. Additionally, this refreshing beverage costs only 1 or 2 Soles, an ideal option for warm days. If you are ever feeling peckish and crave something healthy and light, look for a casera or casero with a barrow full of pineapples or watermelons. They will have a range of beautifully sliced fruits – another great option for a fresh daytime snack in Peru. 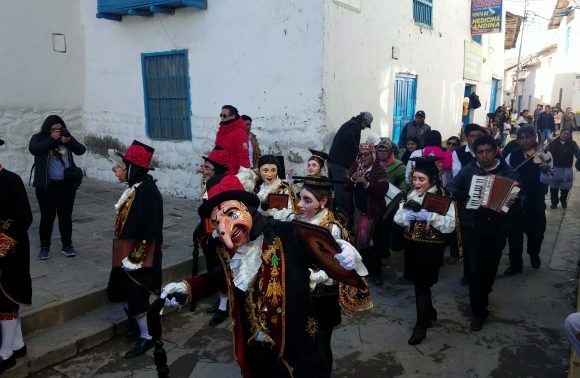 Do you know how to warm up during the cold Peruvian afternoons and evenings for pennies? Well, there is a very good solution – drink Peru’s emoliente tea – a special powerful beverage prepared with different herbs. This drink is both healthy and extremely cheap. One glass of this unique tea costs only 1 Sol with so-called “yapa”. Great hot or warm herbal tea can be ideal for the beginning of the evening. 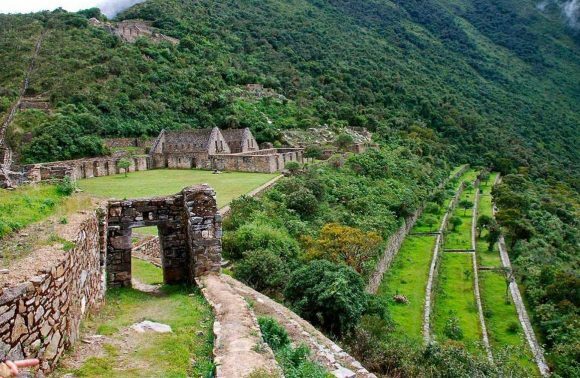 To learn more about emoliente tea, read our article discussing where you can taste emoliente tea. To summarize: all the aforementioned streetfood and drinks can be easily found in Peru, and can almost all be purchased for 1 Sol. 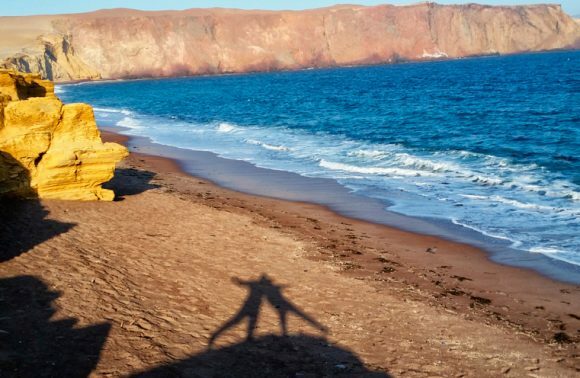 This is a perfect opportunity for everyone to taste something unique in this part of the world for pennies. Additionally, these food and drinks are fresh, healthy and in my opinion really worth trying at least once. Good luck in exploring these new tastes :-).